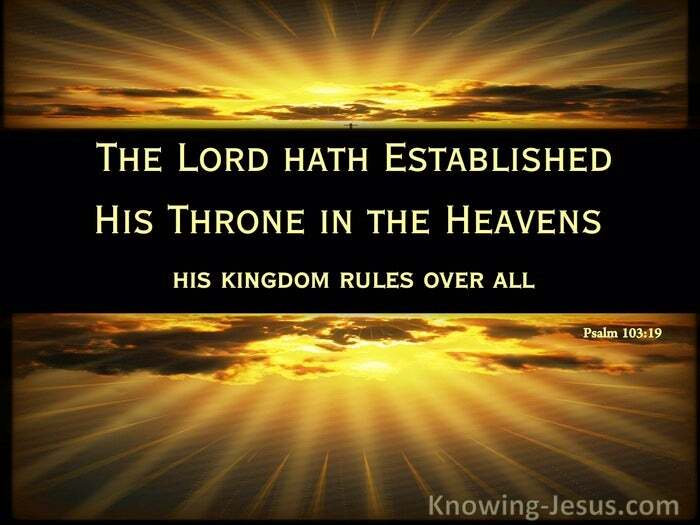 The Lord hath established his throne in the heavens; and his kingdom ruleth over all. 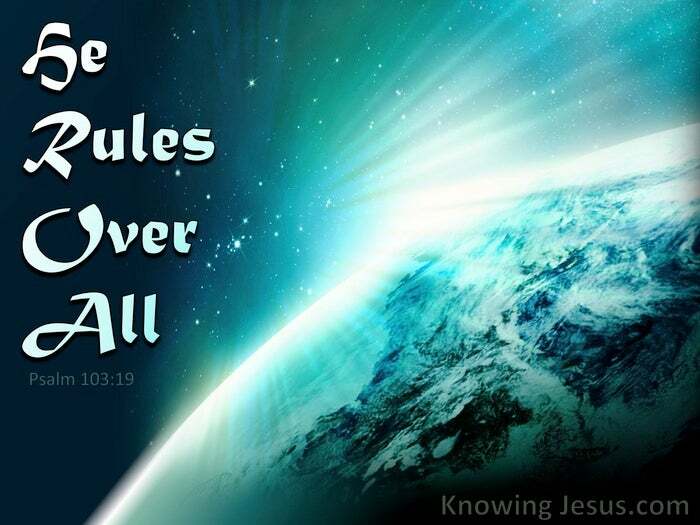 As the world continues to spiral out of control.. as the bedrock of our security is shaken – never, ever forget this one over-riding fact: that all rule, power and authority emanate from one Person and that person is God. God, Who is seated on His throne in a revealed position in the universe. God, Who is enthroned, in the uttermost parts of the north. God, Who from this vantage point directs the affairs of man, through His delegated rulers – good or evil – they all perform His will. This eternal God Who knew the end from the beginning has thus ordered it. This One Who is seated beyond the realm of time, has thus revealed His plan to us. The plans and purposes of God are set out in the Scriptures. He revealed His purposes to us, through His servants, the prophets. He reveals His plans to us by His grace and His love, for all Scripture is given by inspiration of God, and is profitable for doctrine, for reproof, for correction, for instruction in righteousness. 2Tim.3:16. All Scripture is God-breathed and God’s Breath is the breath of life.. the breath of lives.. The Spirit of God hovered over the waters in the beginning to impart Life. The Spirit of God breathed the breath of Life – into a lump of clay, and that lump of clay that became Adam. As the Spirit of God, the Wind of God, the Breath of God, the Ruwach of God – breathes.. so the one that believes on the Lord Jesus Christ receives the Spirit’s vital breath of life. The one dead in trespasses and sins is born as a new creation. The one that is shrouded in darkness is translated into the Kingdom of light.. by the Breath of God – the Spirit of God, the Wind of God, the Ruwach of God. The God-breathed Word of God is thus alive and powerful, living and life~giving. The holy, immutable, unchanging, infallible, Word of God is living and powerful. The Pneuma.. the Spirit of God, is inseparably connected with the Scripture of God. The One Who gave the Word to man is the One that gave the Word through man. As the world continues to spiral out of control.. as the bedrock of our security is shaken – never, ever forget this over-riding facts: That we can through believing what He has written, trust His Word: The Lord hath established his throne in the heavens and His kingdom ruleth over all. There is no power but of God, and the powers that be are of God.